Fears are growing that hundreds of jobs could be cut after unions met with managers at the insurance giant this morning. MORALE IS ‘ON the floor’ among Aviva staff amid speculation up to 500 jobs could be cut as part of a restructuring operation, union representatives have said. Officials of the Unite union, which represents 1,300 of Aviva’s 2,100 employees in Ireland, met with management this morning after the possible job losses were reported last night. Morale is on the floor. Our members are trying their best to lift the business in difficult circumstances It is unfair to expect staff to operate in a vacuum when they do not know if they will have a job in a few months’ time. Given the difficult economic environment in which we are all operating in Ireland, we are considering various options to ensure we have a sustainable and competitive business. Colm Quinlan, an official at Unite, confirmed this morning that the union had been told earlier this year that Aviva was considering moving its European headquarters to the UK from Dublin, where it relocated in 2009. However, he said they had not been given any details on the potential impact on jobs. Mr Quinlan said that job losses on the scale reported would “devastate” Aviva in Ireland, adding that the union would be “extremely concerned” if information had been leaked to the media before employees were told. Speaking on RTÉ’s Morning Ireland, he promised a “robust response” to any planned downsizing. The union said it had only learned of events through the media when Aviva moved jobs from Ireland to India in 2008. Officials are meeting with Aviva management this morning and a statement is expected after the talks have concluded. RTÉ’s Prime Time last night reported that 300 to 500 jobs could be lost as part of a planned “major restructuring” of the firm’s Irish operations. The numbers were given in internal correspondence apparently seen by a Prime Time reporter. 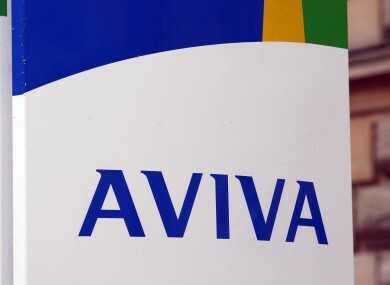 Email “Aviva managers ‘refuse to deny’ 500 job losses on the way”. Feedback on “Aviva managers ‘refuse to deny’ 500 job losses on the way”.